Our company is engaged in organizing active tours, excursions and other types of winter and summer recreation in Kamchatka. 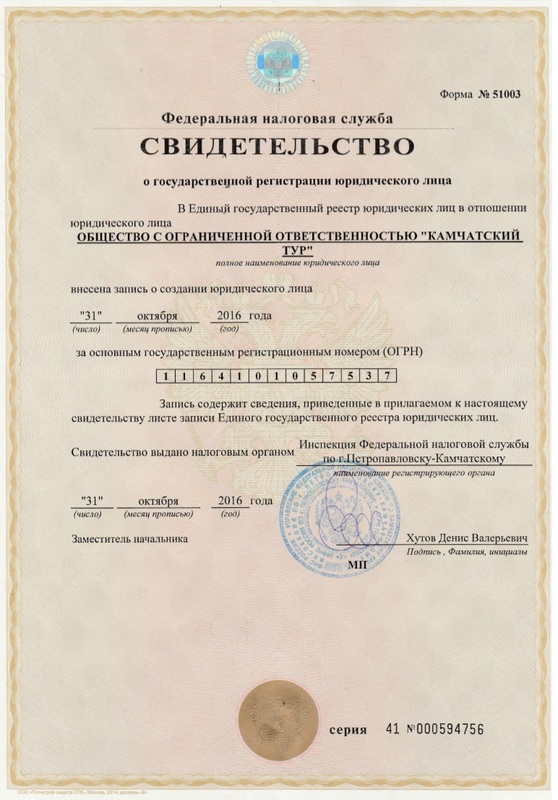 We do not hesitate to give his young company, but our experience on Kamchatka tourist market for over 5 years. tourist and instructor training, experience sports travels in Kamchatka varying lengths and complexity of forms of tourism. many years of experience on reception and service of tourists, guided tours, multi-day hiking trails and climbing volcanoes; in organizing fishing trips, hunting and winter recreation in Kamchatka. contracts with hotels, helicopter companies, protected areas, etc. guides and translators and other staff for the organization of tourist travel.